what makes a sky cerulean? That answer works with a lot of questions. I have some money on my card. Two problems, My taxi is on its way and the main problem is my card is at home. Hopefully it is at home or I will be in trouble. I am home now and found my visa on the floor in my room. It does not feel like summer here. Not at all. The Roomba is turning out to be harder to potty train than we thought. Me too. Why is my previous post attached this one? 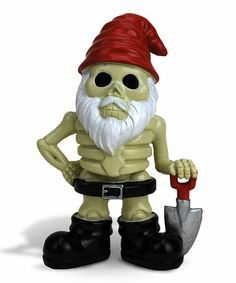 this the bone gnome hurtin my joints? True, now to decide what to watch on Netflix. Benefit of having two tablets is that I can still watch Netflix on one while browsing the web on the other. the real question is why do I have two tablets? Not sure. One is an Android but the other is a Kindle Fire. I guess I got the Android because I cannot play Webkinz on the kindle fire. Basically to use it for google play apps not found in the amazon app store. Talking about webkinz where is my zebra? Just found out Netflix downloads expire after a while but they were taking space up on my tablet so I deleted them all. It sure made the buying easier... maybe that's not a good thing. Though I wish I'd bought Anagenessis 2 while it was on the holiday discount. I keep waiting for it to go on sale again, and it's just not happening. Too bad I cannot watch my Microsoft movie collection on my android tablet. how to get no sleep, drink Starbucks coffee up till Seven PM and then watch a scary movie or tv show like Penny Dreadful. Well I started watching that but the first few minutes were too scary for me to get to sleep. Took too long to decide what to wtach that it is after nine pm. Well I have not decided what to watch. ...turning into a wintry wonderland here (again) this evening 3" - 5" of snow predicted for tonight with another inch or so tomorrow and temps falling into the 20s and teens by Friday morning. Should stick around for a few days as it won't be getting above freezing until the weekend. Ground is already coated in white after less than an hour and the radar is showing darker blue areas meaning heavier snow on the way. The storm cancelled the weekly gaming event I go to on Tuesdays as well as plans ot go see the new Star Wars film with a couple friends tomorrow. Ah well, guess it gives me more time to get 3D work done. This is the most I've seen it snow here since 2008 - '09 when we were buried with that 19" I mentioned about earlier..
Who's this? And it's not Doug. Day 3 of a nasty head cold. It's 10pm and I should be thinking of going to bed... but I really really REALLY want a pizza!